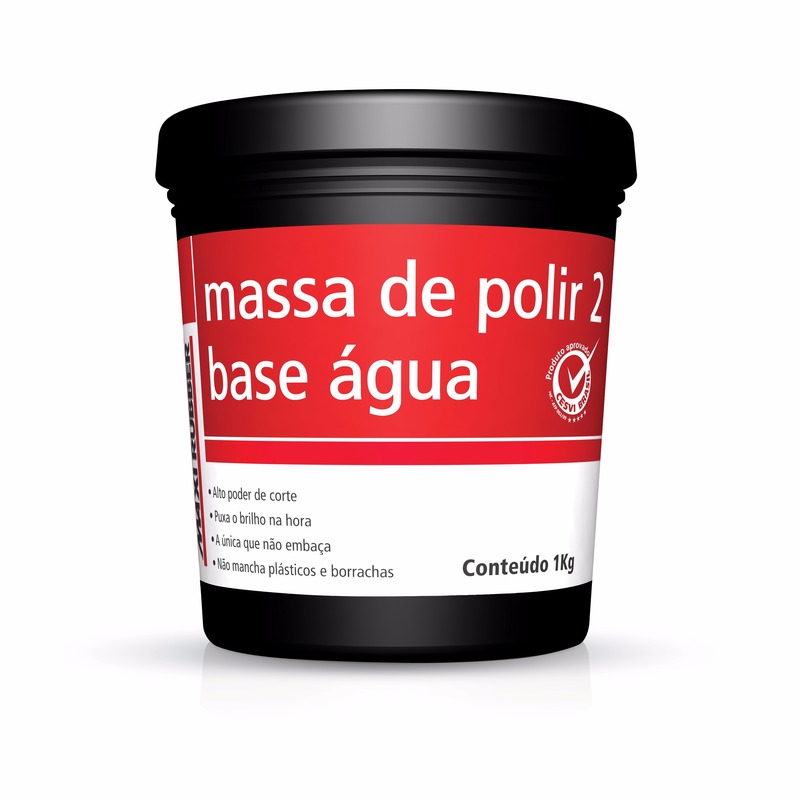 Water-based polishing compound no. 2 can be used in automotive polishing on any type of paint or varnish, leaving the surface smooth and glowing. Indicated to eliminate scratches from sanding with a 1200 or higher grit, and also abrasion old paintings and/or repaintings suffer due to exposure to atmosphere agents, in addition to moderate orange peel appearance, mild paint run-off and small imperfections without damaging the painting, preparing the surface for polishing, thus ensuring a finishing with an intense glow. • Proceed with sanding using 1200 grit or higher sanding sheet. • Refine the sanding with thinner sanding sheets, as this facilitates the polishing andgains in time and product savings. • With a microfiber cloth or dry polishing cotton, apply and rub the product with circular and uniform movements until the compound is fully spread. • Adjust the polisher (1500 to 2200-rpm rotation) and activate the equipment with slow and short movements moderately pressing over the product until reaching the removal of scratches. 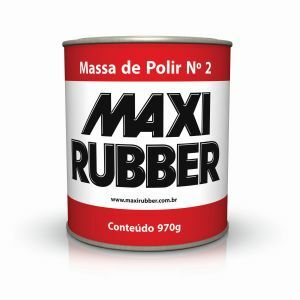 • Polishing using a polisher should be performed with a Maxi Rubber White wool aggressive Compound Pad or Maxi Rubber Yellow wool soft Compound Pad. • If necessary, remove the excess of product residue on the compound pad using a Maxi Rubber Microfiber Cloth. • Leave the weight of the machine for the removal of slight markings caused by the compound pad. • In order to prevent the risk of stains, the surface should not be exposed to sunlight or heat before the due cleaning of residues. Water, mineral oil, vegetable oil, aliphatic hydrocarbon, aluminum silicate, triethanolamine.